I know a gentleman when I see one. A gentleman is usually somebody who wears a quality watch. Of course, there are many other factors that determine whether somebody is a gentleman or not, but wearing a watch is definitely one of them and is one of the most important ones. 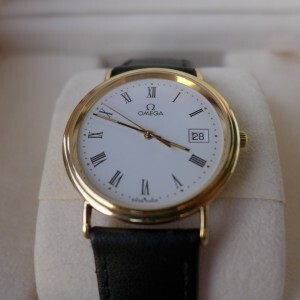 I would like to highlight the importance of quality watches in this post and I would like to talk a bit about their increasing value over the years. Unlike buying many other things such as cars for example, buying a watch is actually a good investment not only if you are a watch collector, but if you are a regular person as well. This is due to the fact that you can always sell watch, get your money back, and then buy something different instead. The idea of buying and selling watches has always been very appealing to me. I myself own several watches. I don’t wear all of them every day, but they sit proudly in my drawers where they wait for their turn. Sometimes, when I am at home, I don’t wear any watch at all, but as long as I leave the gate of my property a good watch always comes in handy. Watches come in different shapes, models, and sizes. This is probably one of the reasons I enjoy buying and then selling watches. I can never decide which watch I like the most, so in order to solve the problem I prefer to replace one with something new, something I have never tried before. I also enjoy buying used watches knowing their true value. Unlike used cars, used watches won’t disappoint you and are ready to serve you for many years to come. This is why I liken to shop for them on the Internet and have them delivered to my doorstep in a matter of days. This entry was posted on Wednesday, June 3rd, 2015 at 6:05 am and is filed under General. You can follow any responses to this entry through the RSS 2.0 feed. You can skip to the end and leave a response. Pinging is currently not allowed.